Directions: From Denver head West on I-70 to C-470 East. 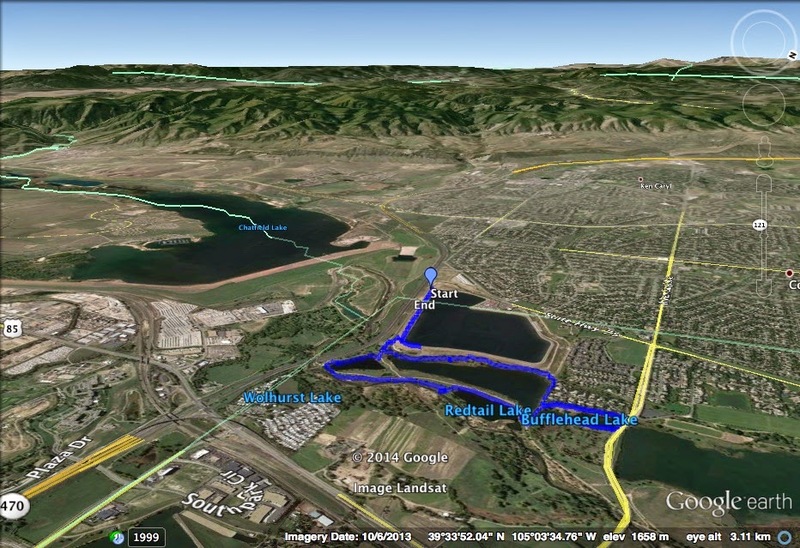 Take C-470 south past Morrison, past 285, past Ken Caryl, and exit at S. Wadsworth heading north. Turn right (east) on W. Chatfield Ave and South on S. Platte Canyon Road to the parking area for the Reservoir. 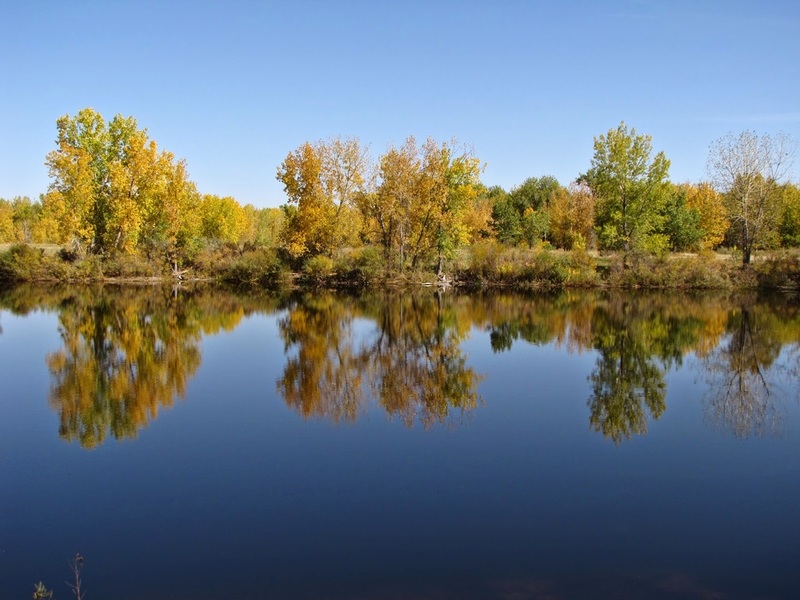 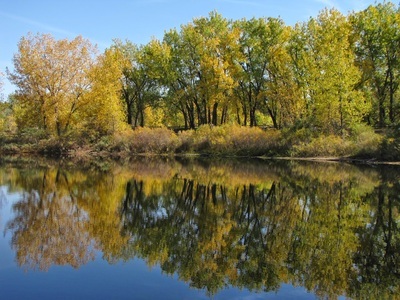 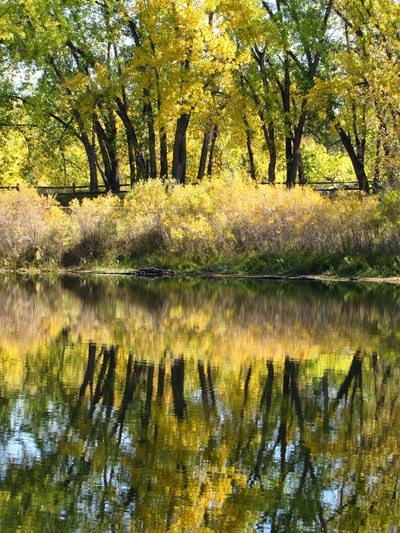 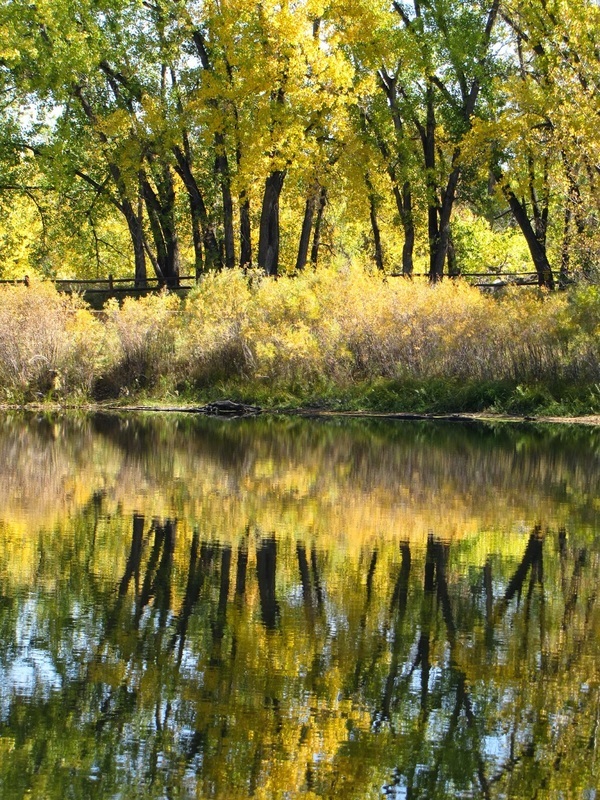 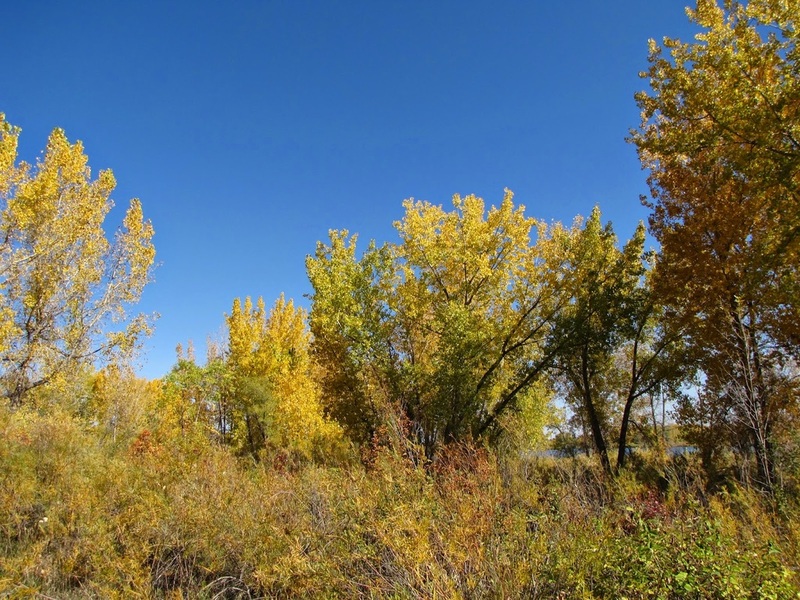 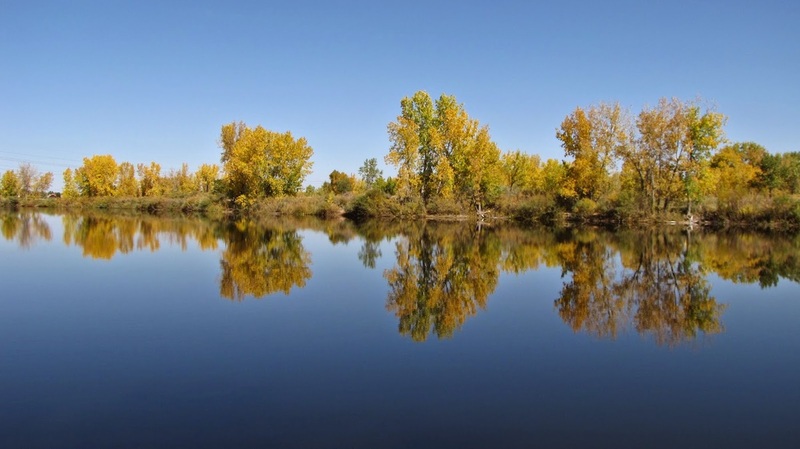 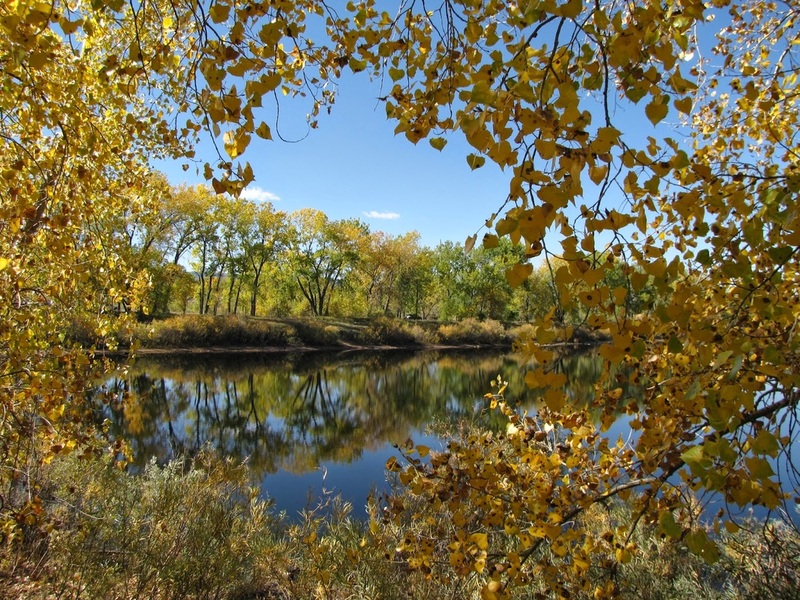 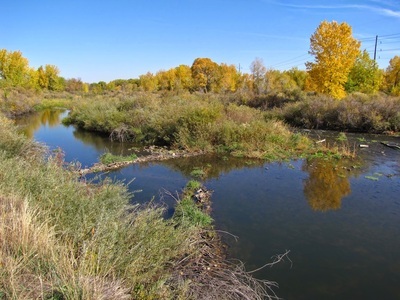 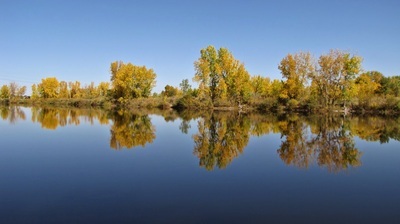 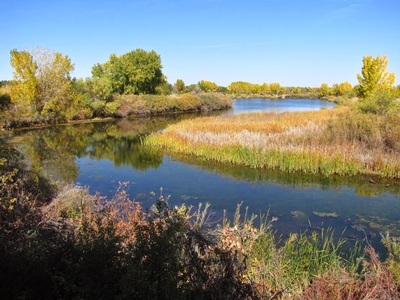 S. Platte Canyon Park is a beautiful nature preserve south of Denver. 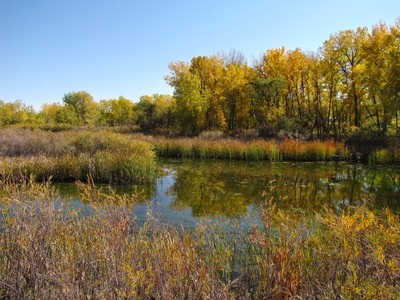 The Carson Nature Center has wonderful exhibits and programs and the park offers all sorts of recreation including nice and easy hiking. 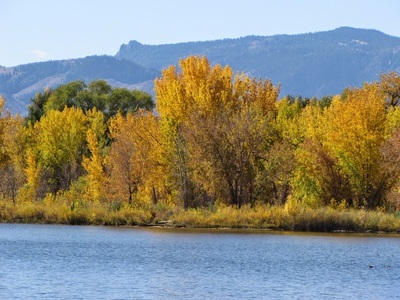 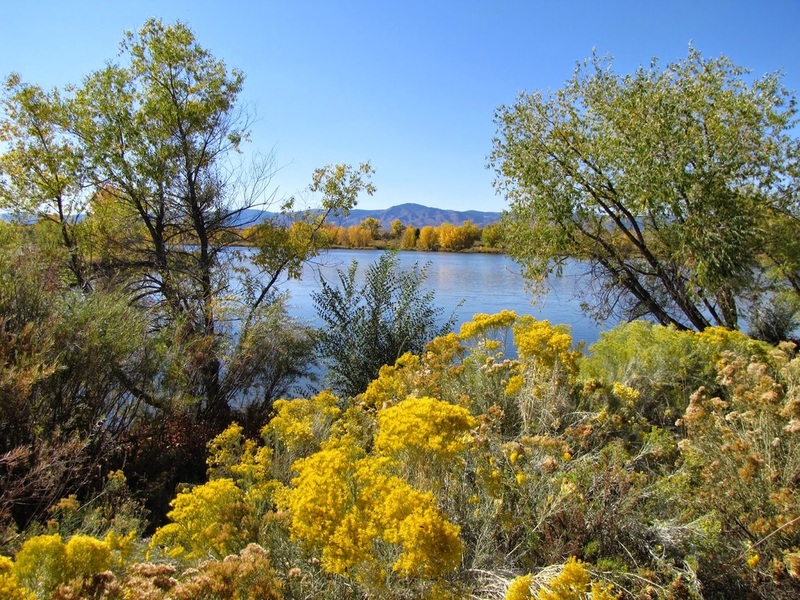 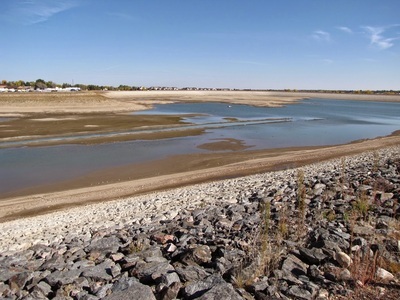 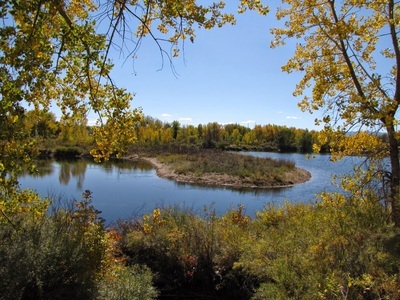 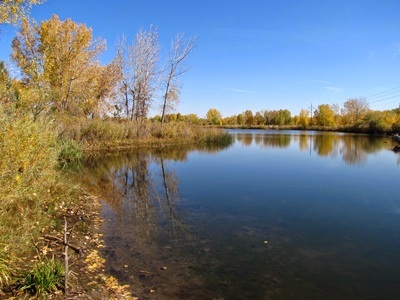 For this hike, start on the west side of the park at the S. Platte Reservoir. The first .5 mile follows the wide dirt trail along the edge of the reservoir. 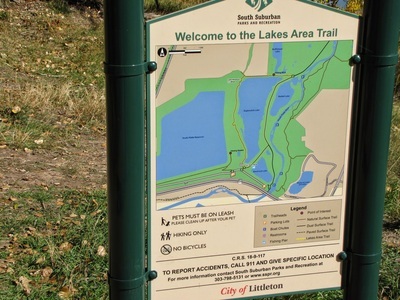 When you descend down into the park find the Lakes Area Trail. 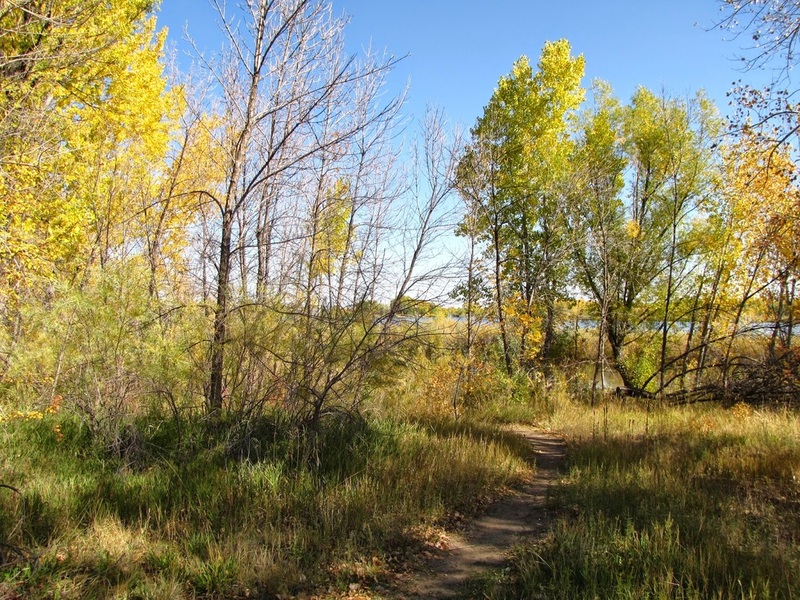 This pleasant single track will take you north along the west shore of Eaglewatch Lake. 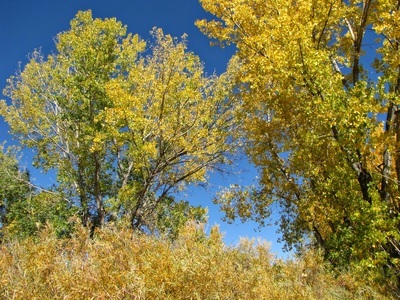 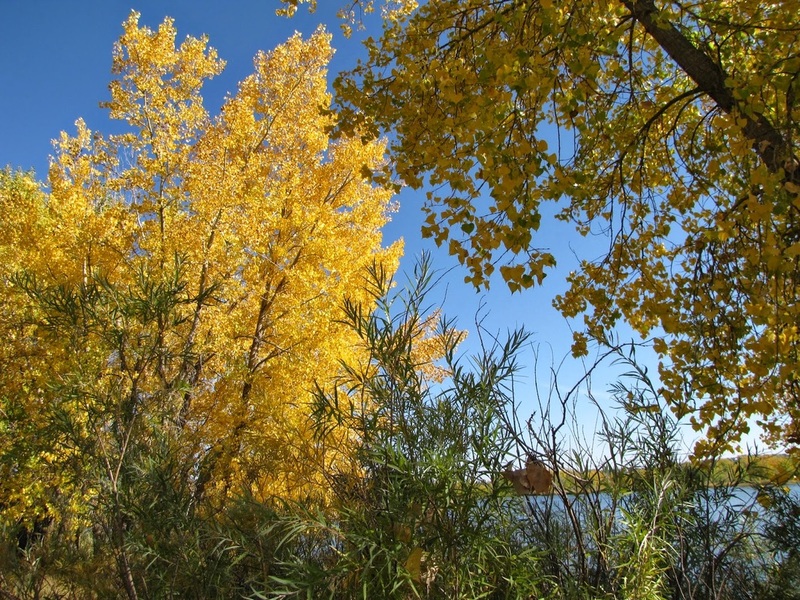 During the fall, the cottonwoods are blazing! 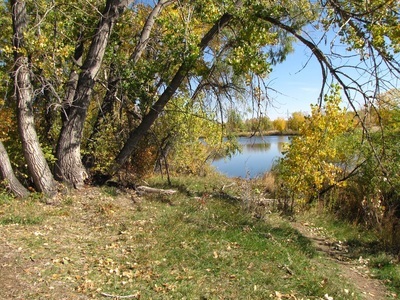 When you reach the north shore of the lake, the trail heads east, there is a smaller lake north of this lake. 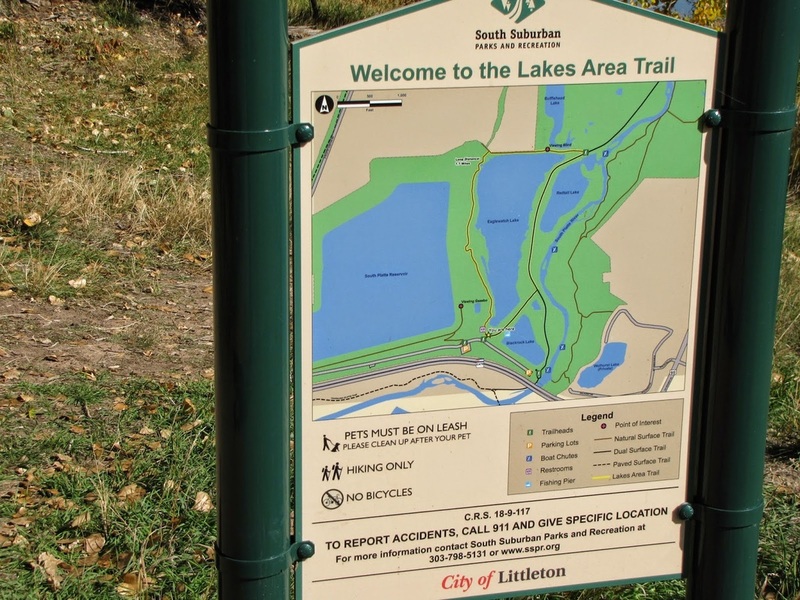 Feel free to explore it but keep in mind that the trail does not go completely around the lake, it dead ends at a marsh forcing you to go back the way you came. 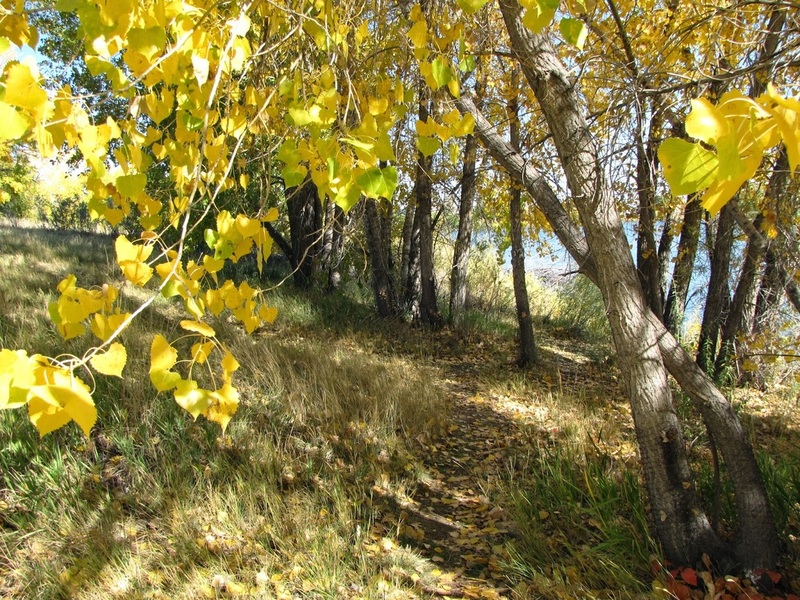 Still, explore as you wish. 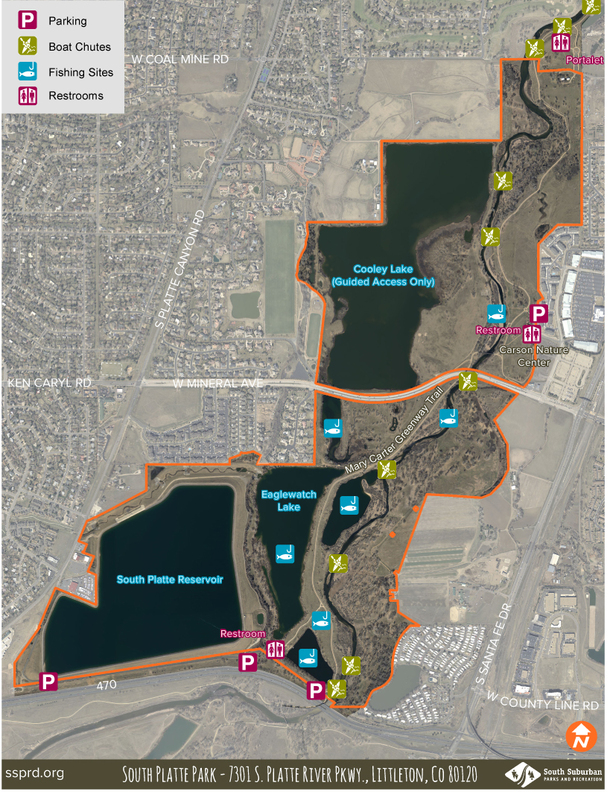 As you come down the west side of Eaglewatch Lake you'll meet up with the South Platte Trail, the major paved bike and walking trail. 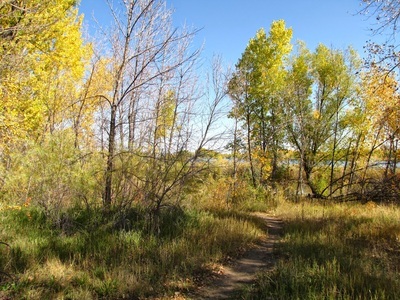 Take this trail back south to the end of the park. 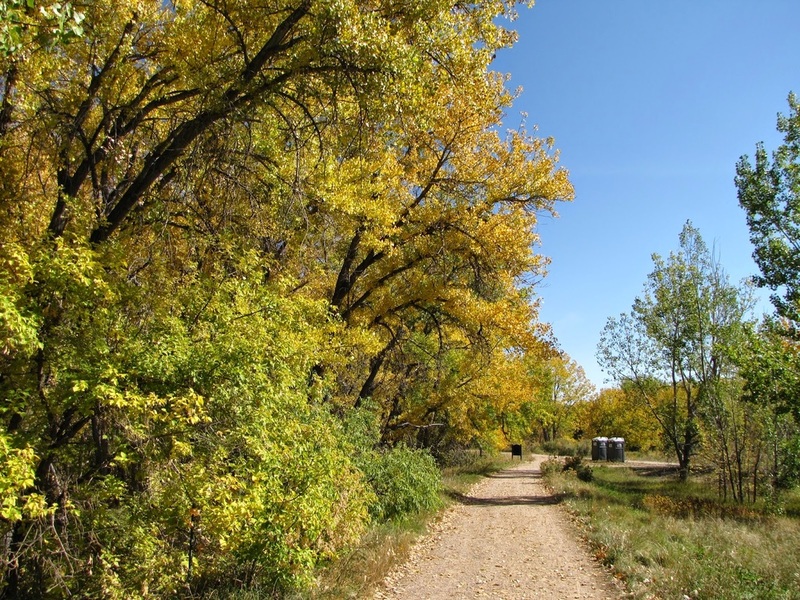 However, there are many minor dirt social trails that lead to S. Platte River or to other lakes, you should take as many of these as you can, it will be more fun than following the paved trail. 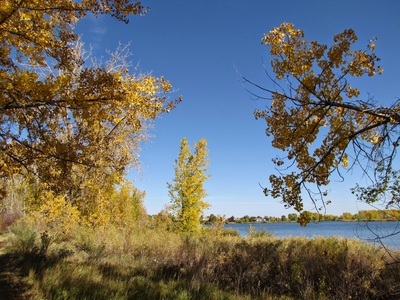 Be sure to visit the shore of Blackrock Lake and follow the lake shore back to the parking area. From here head back along the reservoir. 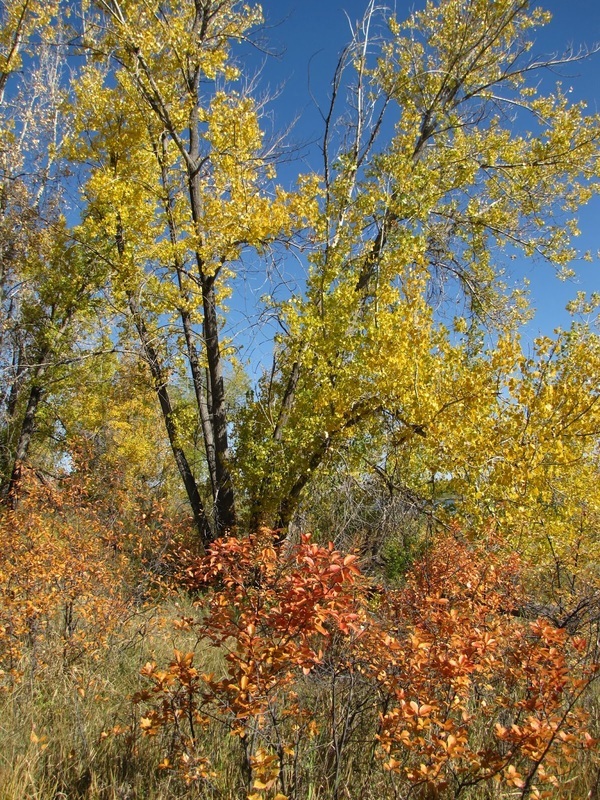 As the pictures below show, this place is crazy nuts in the fall. 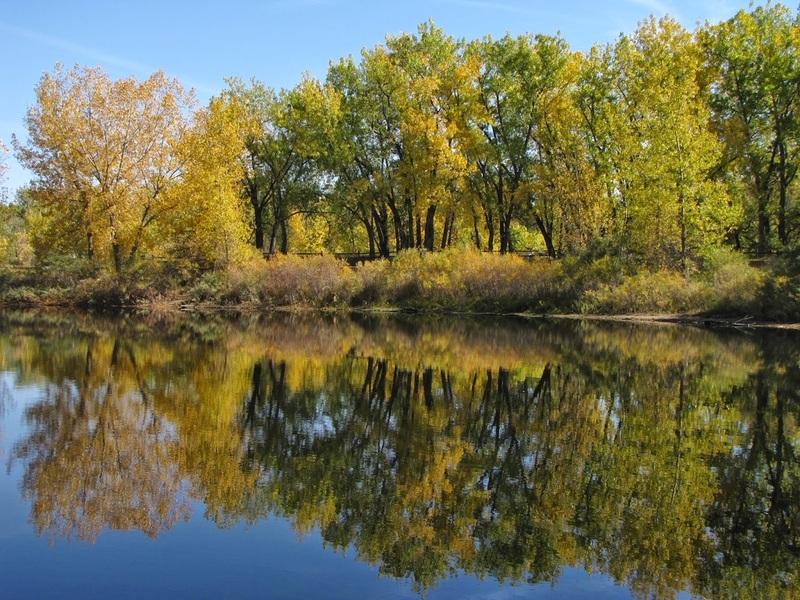 However, it is also beautiful in the spring when all the flora is an bloom and during the winter when the barren trees highlight the river and waterways. 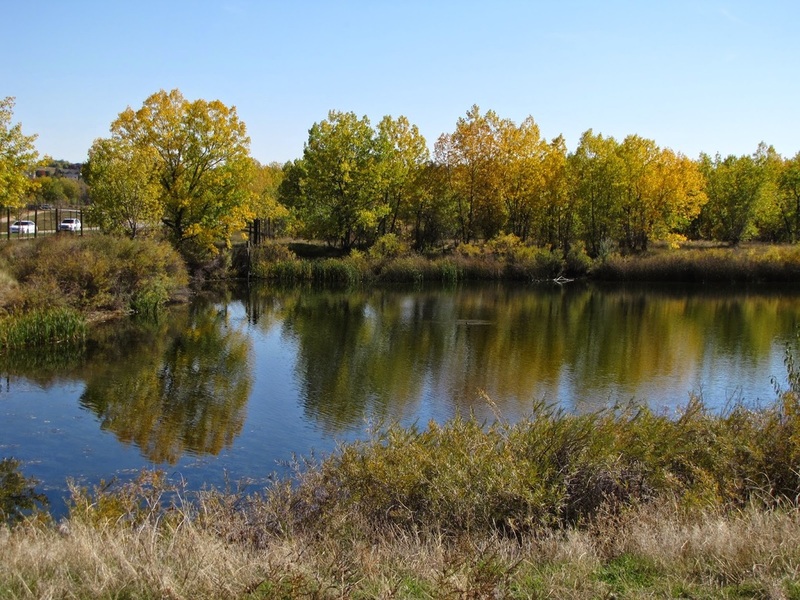 Be sure to visit this park often, it's a great resource and so close to Denver.